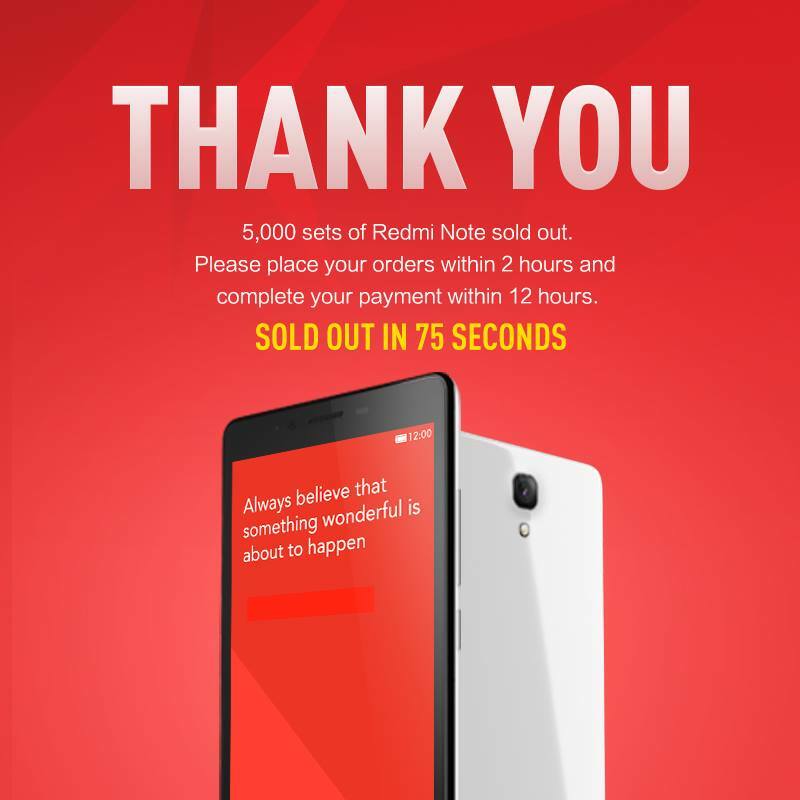 Xiaomi had did it again, this time round having their first batch of Redmi Note being sold out in just 75 seconds in Singapore. The first batch consist of 5,000 sets which was all being grabbed away along with the Redmi 1S as well. The main reason is probably due to its dirt cheap price of just S$199 (~$159). From what we know, Singapore is one of the first Asian country (other than its home market and Taiwan) to launch the Redmi Note. This is probably due to the success of the Redmi handset, having sold out in within 8 minutes when it made its debut in Singapore back in February. We’re not sure when this monster will be heading to other markets but according to a tipster, this device will arrive in India by the end of August.